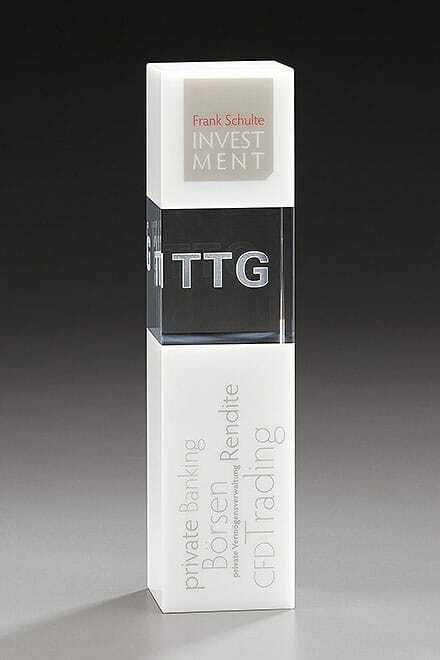 If you’re looking for an employee award that’ll really wow, this crystal award is an ideal choice. 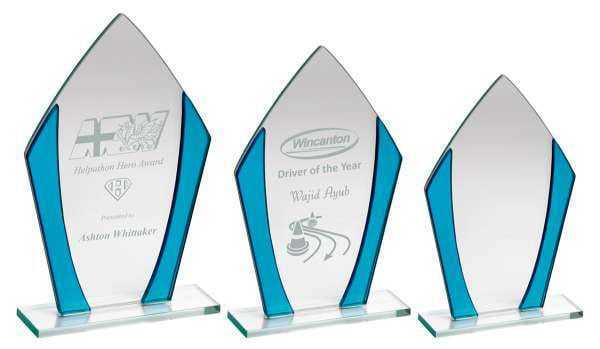 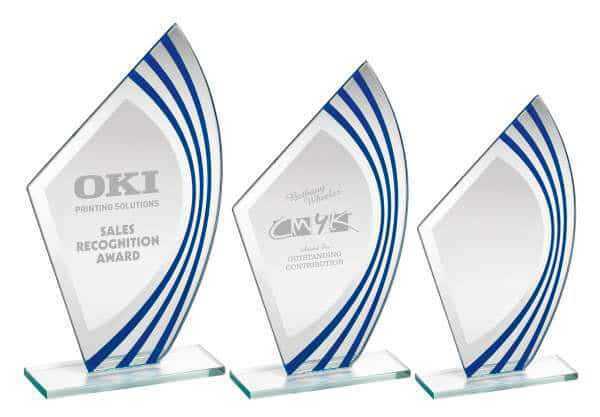 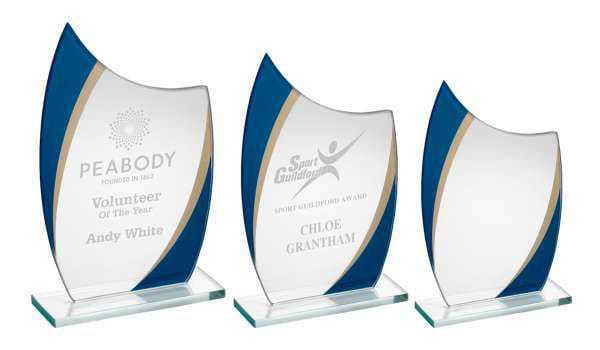 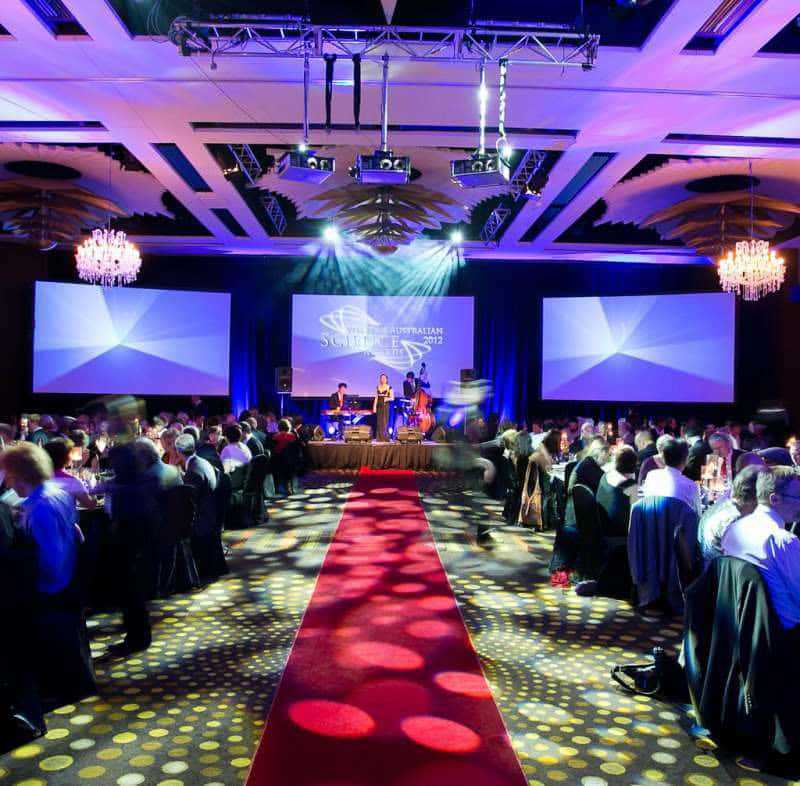 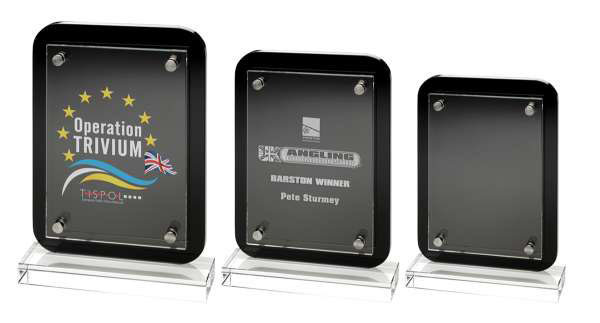 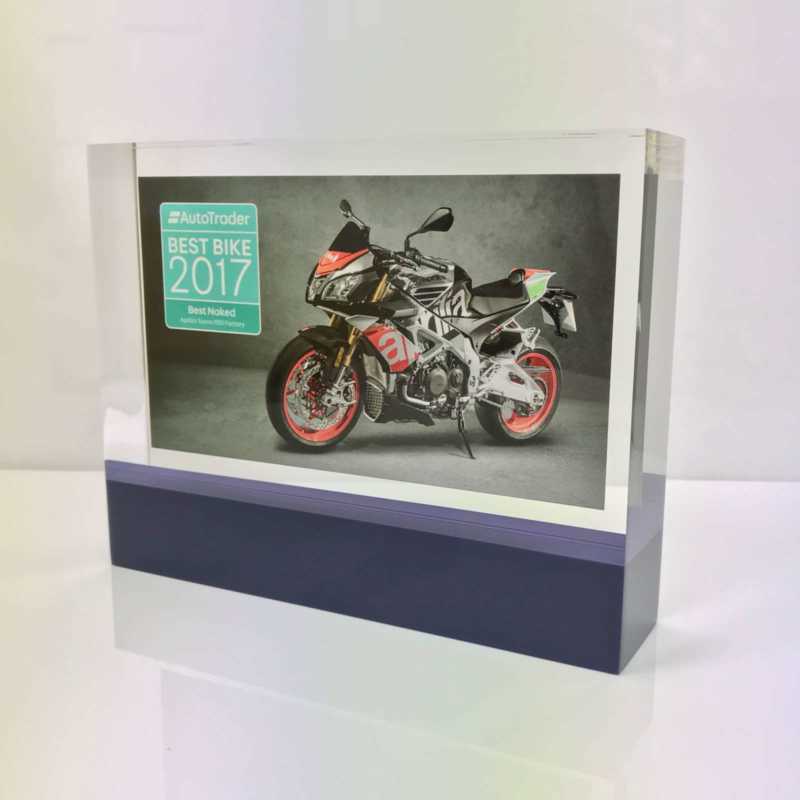 This monolith style award features a frosted base and top, with a clear cube centrepiece that can be customised with a logo of your choice. 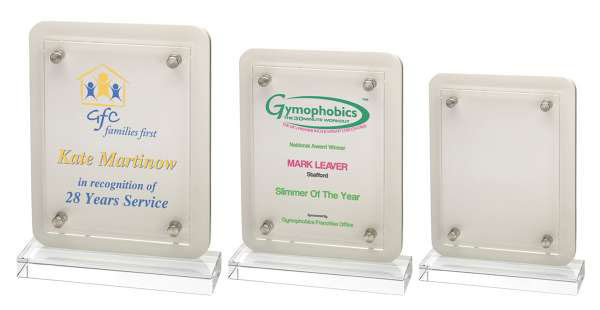 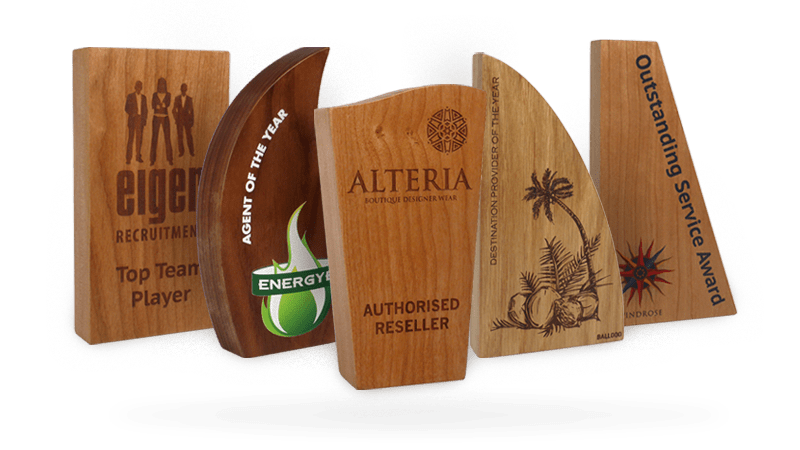 You can also add corporate logos and artwork, along with all important lettering to ensure each recipient of one of these employee awards gets the personal trophy they deserve.